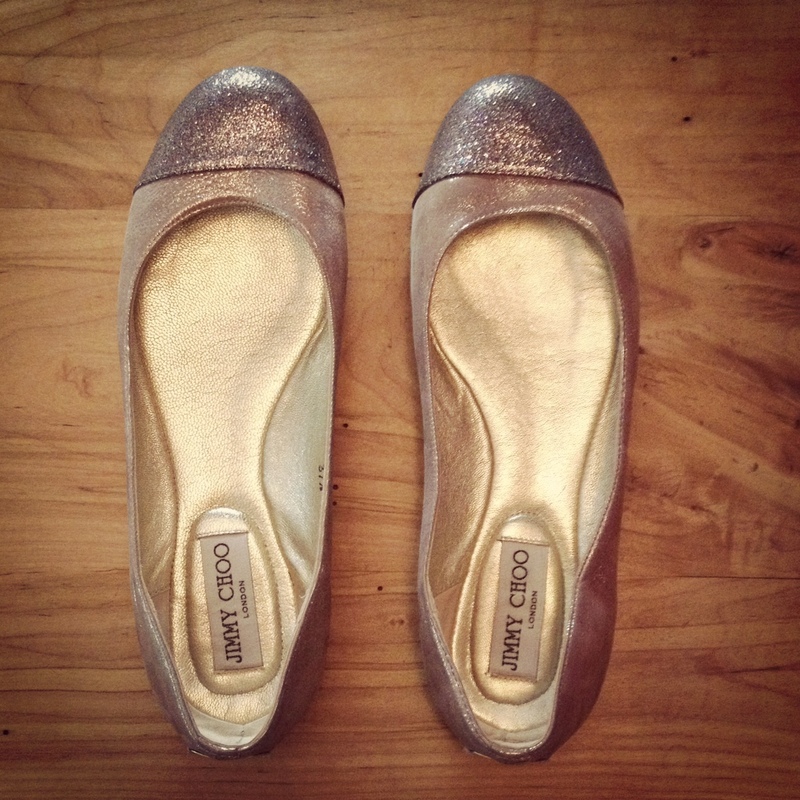 Jimmy Choo ballet flats: $45.00 (new $395). Estate sales don’t happen in San Francisco. Well, according to my husband they do and they did, only we never noticed signs or heard about them (but if a tree falls in the forest…?). There were countless garage sales back home, but whatever wasn’t junky was always priced way too high. Here, estate sales are like garage sales with sprinkles on top. This summer, there was one, if not several, going on every weekend (I’m sure it slows down in colder months. Perhaps even comes to a full stop. I’ll let you know). I noticed the sidewalk signs when we first moved and didn’t really think anything of them because for one thing, there are so many freaking signs here that one tends to stop looking at them all together. Anyway, I don’t normally waste my time digging through bins of other people’s unwanteds. But I’d see cars lining the block and people walking with a purpose and one day I got curious enough (and brave enough) to park the car and check it out for myself. 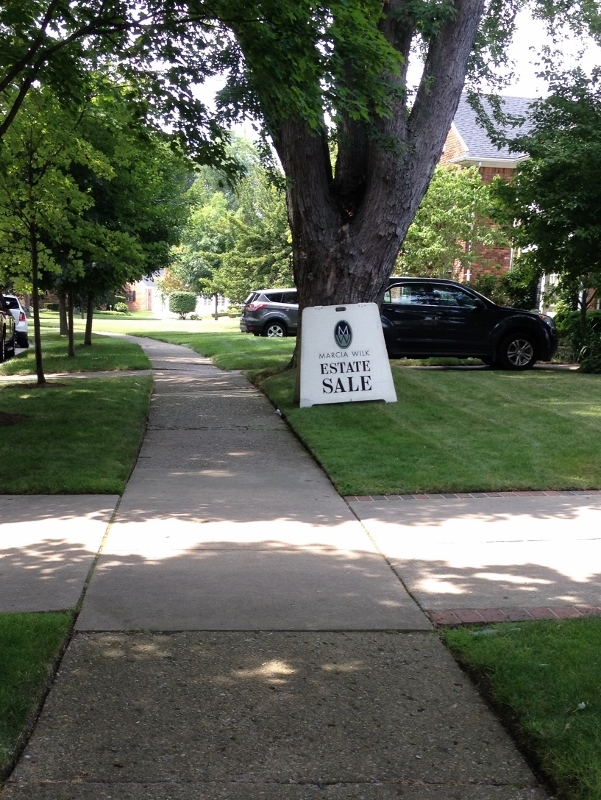 In Grosse Pointe, most estate sales are run by professionals who have been in the business for years. From what I’ve gathered, there are two main companies: Marcia Wilk and Stefek’s (the other companies appear less frequently and are almost impossible to find online). They announce sales at the beginning of the week, with the actual sale starting on a Friday and ending Saturday. I’ve never gone to one right when it opened, but apparently it can get crazy. Numbers are handed out 30 minutes prior to start time and customers are asked to be “organized and orderly” (as one website states). On Saturday afternoons, prices get dropped considerably, the catch being that the good stuff is usually gone by then. The first sale I went to was a hot mess. There were holiday decorations galore, plates, pots and dishes for days, books, records, clothes, odds and ends and a handful of furniture. 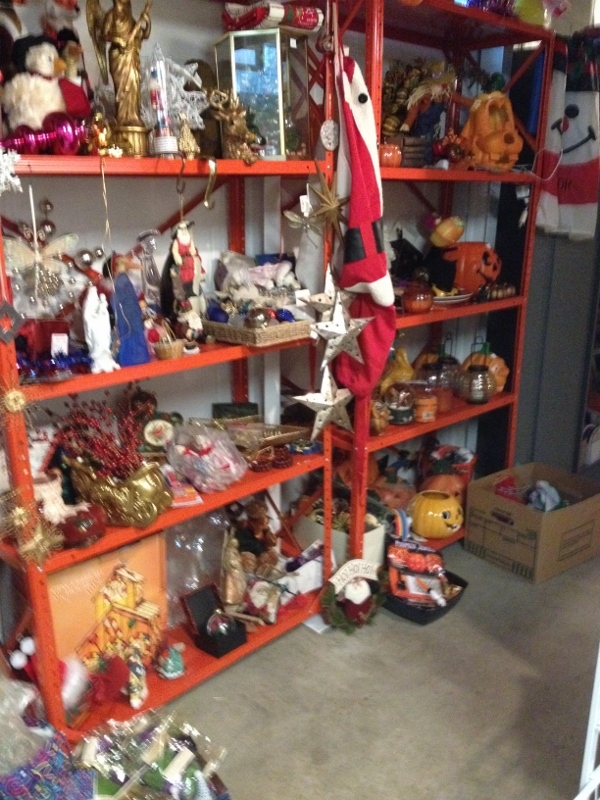 In addition to displaying the estate’s offerings, estate sale companies also bring in their own stuff (items from past sales, consignment items). There were a lot of folks at this one and they were riffling through things like rats in a garbage bin. Amidst the chaos, I did manage to find something I liked. 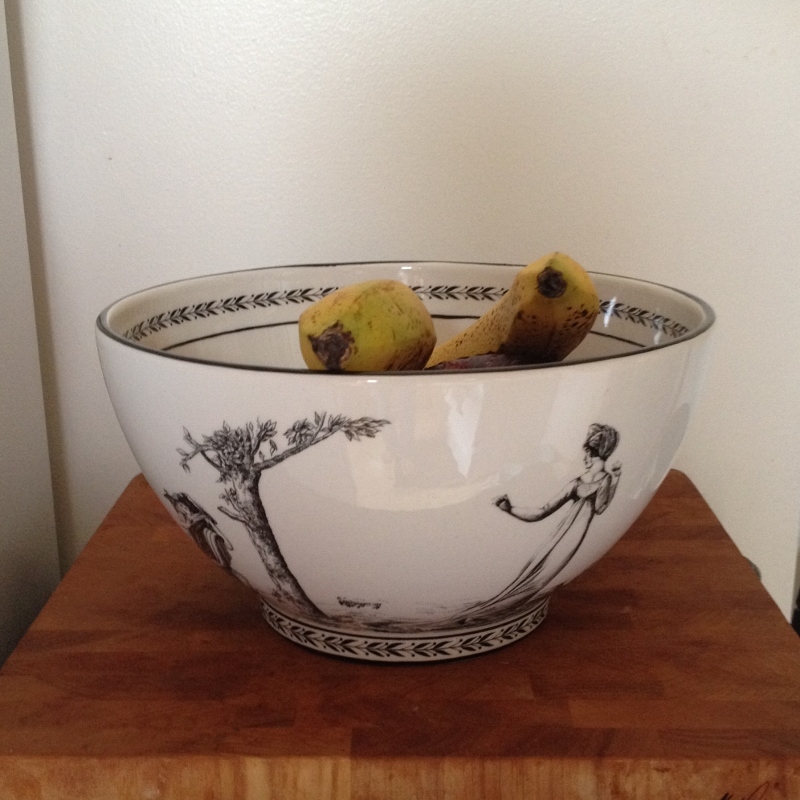 An Italian Mottahedeh ceramic bowl for $25.00. I did some research when I got home and couldn’t find the exact bowl, but based on similar items (same design, different shape), the actual value is somewhere in the neighborhood of $125-$150. Since I had a babysitter on Friday afternoons (had, because the school year has started, so I no longer have a sitter), I’d make sure to check out a sale or two if I had time between my frantic errand-running. The signs I followed one day led me to one of the properties that had been on our new home shortlist. Remember the Canadian consulate on Stephens Road? (FYI – It was weird to be wandering around a home that only weeks prior we’d been considering living in. I can’t explain why it was weird, it just was). Anyhow, there I was. First I spotted a great collection of matches. As I walked to the counter to pay for my $5.00 bowl of assorted matchbooks, I eyed two sets of chairs: a pair of wingbacks with matching ottoman and a pair of tub chairs. All in excellent condition. And all pink. I stared. I paced. I sat. I consulted my husband (who was back in San Francisco for work and who told me to use my best judgement, as he was swamped and couldn’t help me make a decision). So I did use my better judgement, and made the decision to buy the whole lot. The tub chairs were $350 each. The tag on the chairs said William Switzer, a Canadian company (naturally) based out of Vancouver. I called the company, emailed them a photo of the chairs and they confirmed the chairs were authentic. They also told me the retail value for each is about $3000. Score. I bought the wingbacks and ottoman for $1200 (Would they throw in the matches for free? They would). I couldn’t find the manufacturer for those, but no matter. I love the chairs and for sure would not have been able to get them for that price at a retail store. A couple weeks later (on our way to a walk-through of our now home), we drove by the Cloverly place we fell in love with (but whose layout and space would never work for us). We had ten minutes to stop before our appointment. And did I find something there? Of course I did. 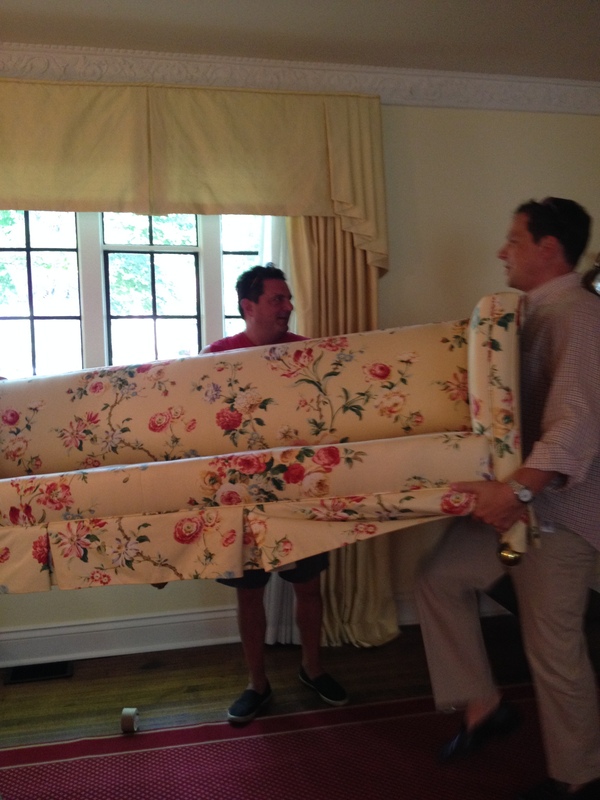 The yellow floral couch is the perfect size for our living room. It actually looks lovely (so happy, so bright) in there now with our other estate sale finds, but it will eventually need to get a facelift, as it does not go well with the zebra-print rug. We even went to our new home’s estate sale (the people we bought it from were downsizing to a smaller place). Talk about weird. My husband could barely take it – strangers touching our walls, opening our cupboards, walking around in our bedrooms. I bought a Pottery Barn faux throw for $15 (retail $149) and a shoe rack for $8.00 (my only bad estate sale purchase. Turns out, it doesn’t hold shoes). 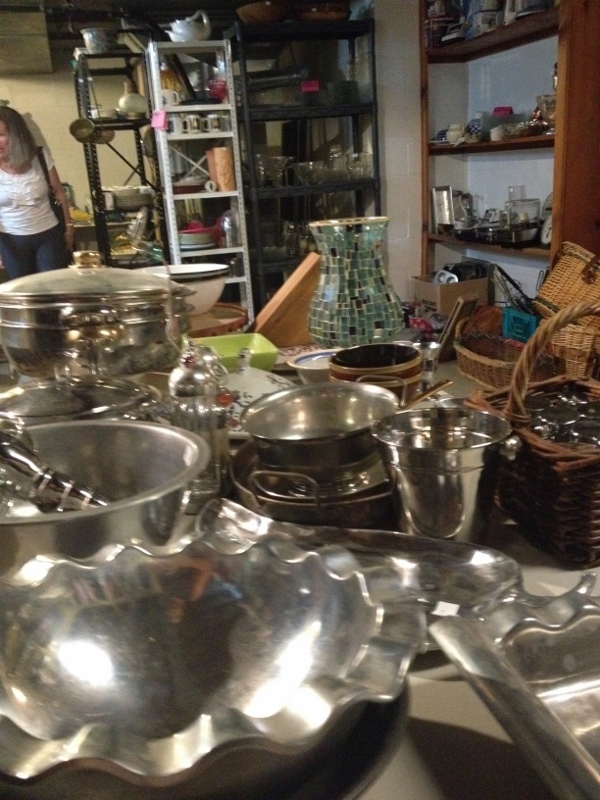 I put the brakes on estate sale hunting when all the home renovation stuff came down the pike. I was just too darn busy. Plus, we don’t need anything else. Although… the little one could use a cool vintage bookshelf between the twin beds in her room. Hmmmm, better keep an eye out. 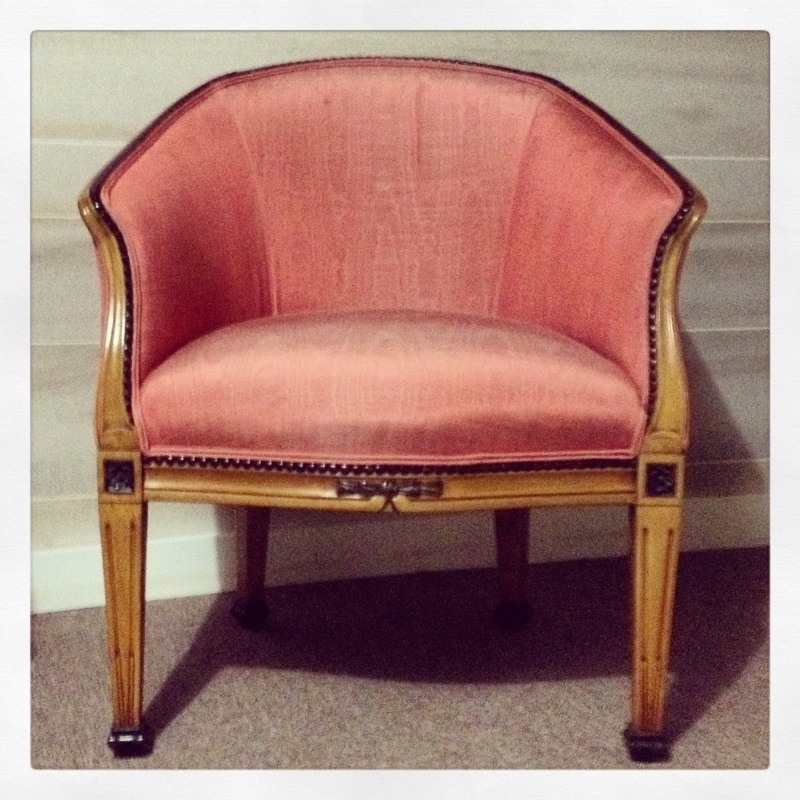 This entry was posted in Grosse Pointe, Moving and tagged Estate Sale, Furniture, Garage Sale, Grosse Pointe, Home Decor, Moving, Shopping, William Switzer, Wingback. Bookmark the permalink. Welcome to the fun world of estate sales! Thank you, I’m loving it. Went to one today! Man, that furniture looks gorgeous! Thanks! People do have nice stuff here. We’re lucky there are lots of great sales out here, too.